In this dynamic and challenging economic landscape where customers’ expectations are evolving fast, in step with rapid technological innovation, banks need to reinvent their offering to keep up. As today banking is no longer about who has the most locations but how it can deliver cost-effective solutions with an improved customer experience, we've gathered the main aspects every banking expert should know. How have banks changed in the past 5 years? What trends should we expect for the next 5 years? 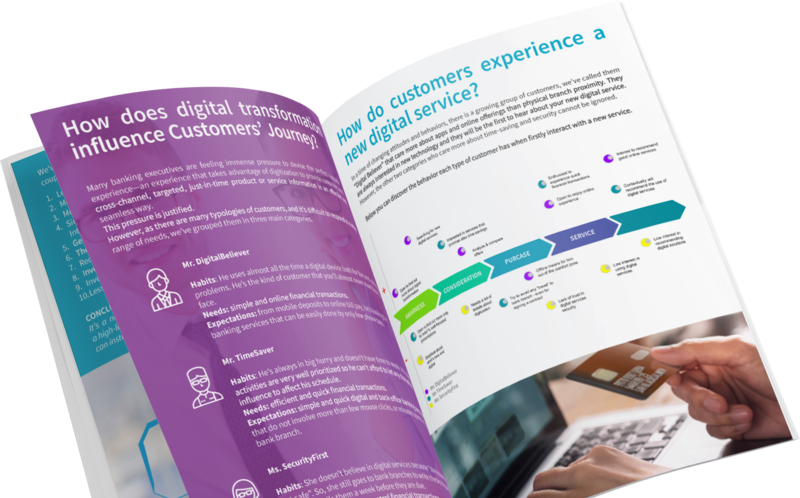 How does digital transformation influence customers’ journey? What are the main steps every bank should follow to keep the "Digital Believer" closer? How does a "branch of the future" look like? Get your full answers NOW from our latest eBook: Healthy habits for a successful bank: Main steps to the strategic adoption of digital transformation in the banking industry. Bonus: How did Raiffeisen Bank Serbia transform to a “bank yourself” concept for their own branch transformation? ©2018 Printec Group - All rights reserved.